Attack On Titan Season 3 Episode 12 | Night of the Battle to Retake the Wall will release on October 14th at 11am Pacific time and 11pm Pakistan Standard Time. The episode 11, Bystander, was delayed due to the typhoon coverage within Japan. 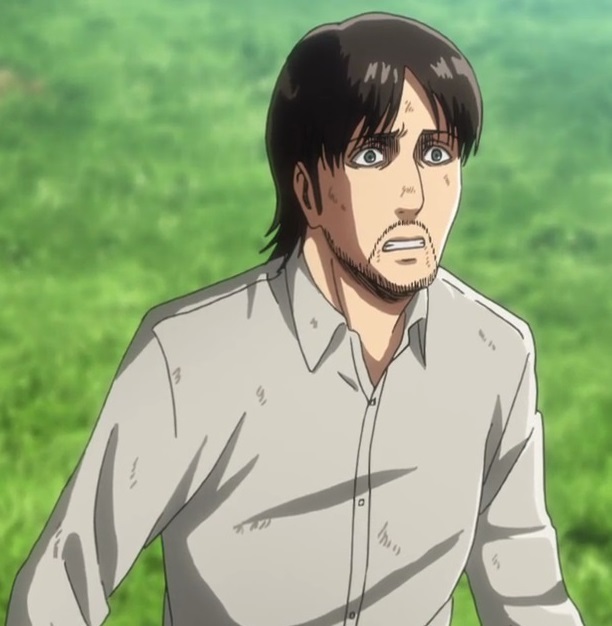 In episode 11 we learnt of the background story of Eren's Parents from the viewpoint of the Bystander, Keith Shadis. Keith Shadis was a friend of Grisha Yaeger and Carla who he secretly loved, before he could say anything about it, Carla married Grisha. Before long they had a child who Grisha gave the responsibility to avenge his mother after Wall Maria fell. Grisha Yaeger was a special man from outside the walls with a mission to take the Royal titan from the king. He succeeded in that mission 20 years later when he killed Freida Reiss. 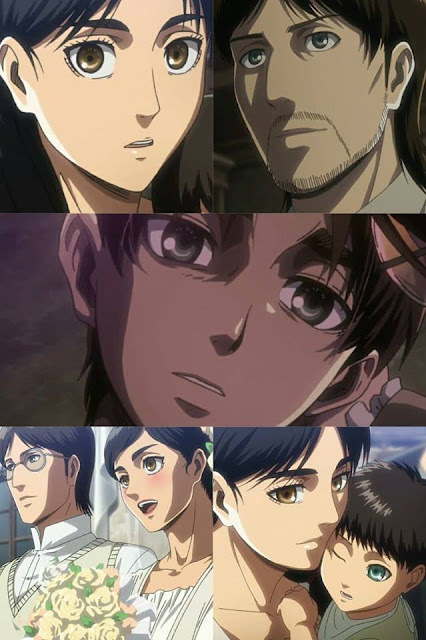 After taking the power of the titan he returned to Keith Shadis to meet his son where he gave these powers to Eren as seen in the flashbacks of Eren's memories in episode 6. The first thing that the title gives off is the retaking of the wall Maria. So it can be assumed proceedings to retake Wall Maria will begin. 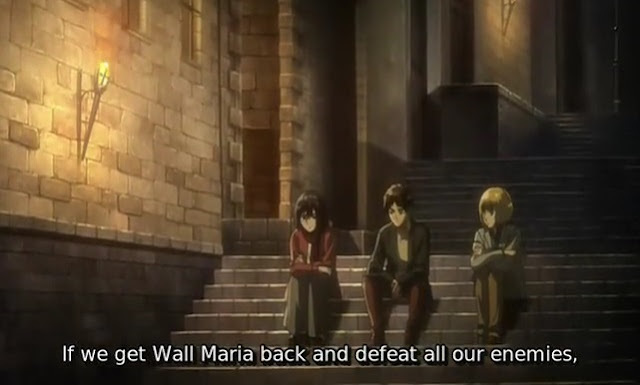 Commander Erwin Smith will surely plan ahead to take back Wall Maria. Eren, Mikasa and Armin are seen sitting in the same place as you can see from the Attack on Titan OVA Lost Girls Episode 3 where they plan to make things as before the wall fell. However in the upcoming episode preview we saw a glimpse of this conversation happening at the same place. I am guessing this is the last night before the mission begins. They are trying to remember the good old days before the colossal titan broke the wall. After the Survey Corps gets ready to take back Wall Maria certain warriors will be waiting for them. 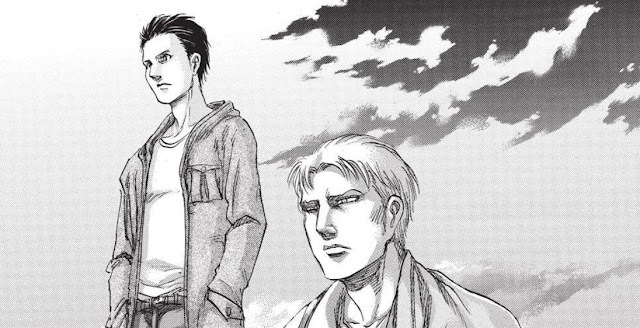 Reiner and Bertholdt along with the Beast Titan will be waiting for the scouts to attack them and take back the coordinate. Their main goal is to capture Eren and take his powers for themselves. For what reason they want to take Eren is unknown as of yet. But we are yet to know. I'm guessing we will find this out by Season 4. Character that was most highlighted was Keith Shadis. Ofcourse it was the bystander, the whole episode is titled after him. I hope he gets more screen time in the newer episodes. The young version, not the older version who probably wants to eat Sasha. These are all the expected stories I could find for the upcoming episode from different facebook pages and groups and twitter tweets. Attack On Titan Season 3 Episode 12 | Night of the Battle to Retake the Wall article. Don't forget to follow my Attack on Titan Memes page on facebook and my blog AKBlogs on facebook & Twitter. Attack On Titan Season 3 Episode 7 | What to Expect from "Wish"